I know, I know. The last thing we’re all looking for is another addictive puzzle game. But Compulsive is so addicting that we can’t let it go! The premise is simple. 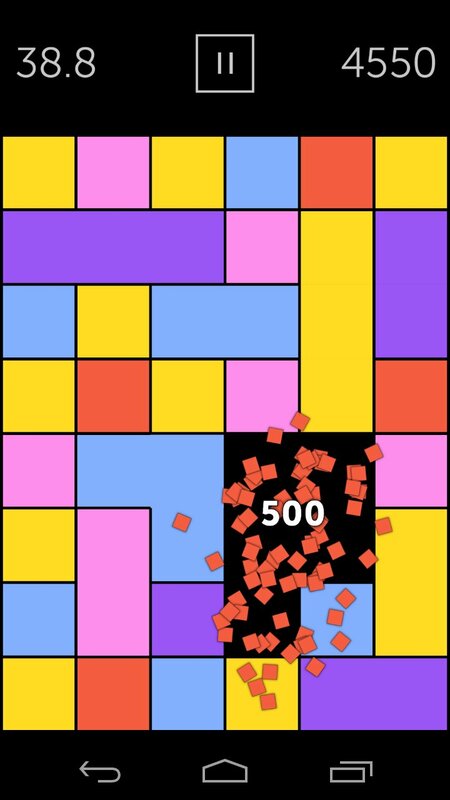 You have a grid of colorful tiles, and it’s your job to join the like colors together. You can move any tile wherever you’d like to create bigger groups, as long as it’s moved next to a like color. Join 4 or more colors together to clear them from the game board. Easy, right? There is one thing, though. When you move a tile, the two colors swap places. Here’s where the strategy comes in. You need to move them strategically so the tile that you’re moving lands next to a like color, otherwise it will be difficult to create big groups. The game is complete with a few different game modes – Arcade (timed), Strategy (limited moves), Zen (free play), and Multiplayer. Multiplayer mode is set up through Google Play Games, so you can play against anyone you’d like. Getting rid of ads will cost you $.99, but honestly, there aren’t that many to begin with. Pick up Compulsive for free on Google Play! The post Organize colors as quickly as you can with Compulsive [App of the Day] appeared first on AndroidGuys.